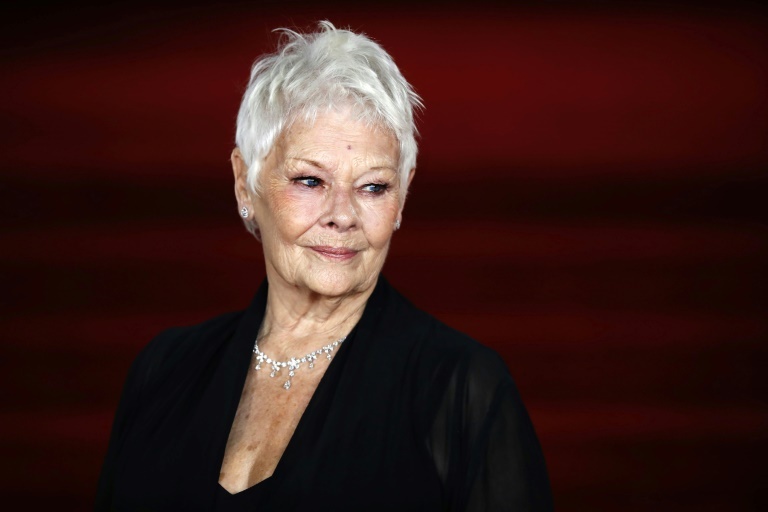 British screen legend Judi Dench, best known for her role as M in James Bond films, will receive a lifetime achievement award at Spain’s famous San Sebastian film festival, organisers said Tuesday. The 83-year-old actress who won an Oscar in 1999 for her role as Queen Elizabeth I in Shakespeare in Love will get the Donostia Award on September 25, they said. Dench, a veteran star of the stage and screen, made her cinema debut in 1964 and has worked with directors as varied as Stephen Frears, Kenneth Branagh, Clint Eastwood and Sam Mendes. Her subtle portrayal of complex characters such as Queen Victoria in Mrs Brown or author Iris Murdoch in Iris have earned her critical acclaim. A seven-time Oscar nominee and the recipient of several Bafta awards, Dench is perhaps best known worldwide for playing M, the head of MI6, in James Bond films. It will be her first visit to the film festival in the Basque Country, where her new film Red Joan, directed by Trevor Nunn, will be screened. In the film inspired on a true story, she plays a tranquil retiree who is suddenly arrested by MI5 and exposed as a long-standing KGB spy. She will join US actor Danny de Vito and Japanese director Hirokazu Kore-eda, whose film Shoplifters won the Palme d’Or in this year’s Cannes Film Festival, in receiving the Donostia Award. James Bond soars to box office record with "Skyfall"